It’s picture day, and the boy at the center of this charming story wants to make sure his picture is perfect. It seems as though everything’s going wrong for him—he has bedhead, a stained shirt, and a big scowl on his face. But when he goes up for his picture, he thinks about his terrible appearance, and he smiles—because he secretly wants his picture to be the worst ever taken! But just as he smiles, the photo is snapped, and his plan is ruined when he takes a totally adorable picture. 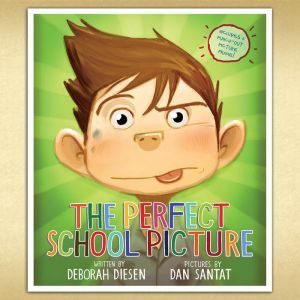 Perfectly paired with the larger-than-life silliness of Dan Santat’s illustrations, this is a sweet and funny picture book about a classic school moment.